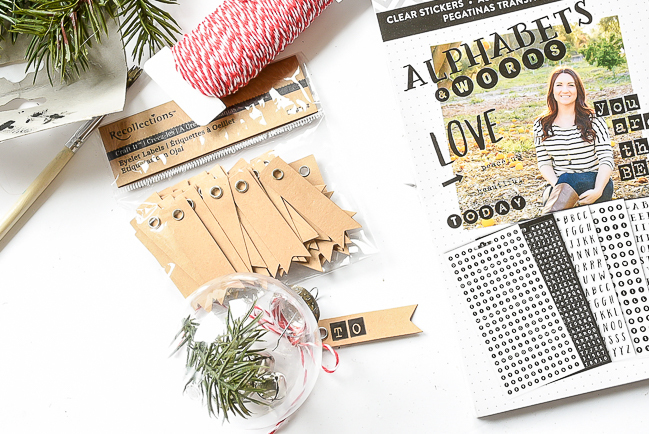 Add the perfect personalized touch to your gifts this holiday with easy DIY Dollar Tree ornament gift tags! I was crazy busy and missed last weeks Dollar Store DIY project, but I'm sharing one today to make up for it. 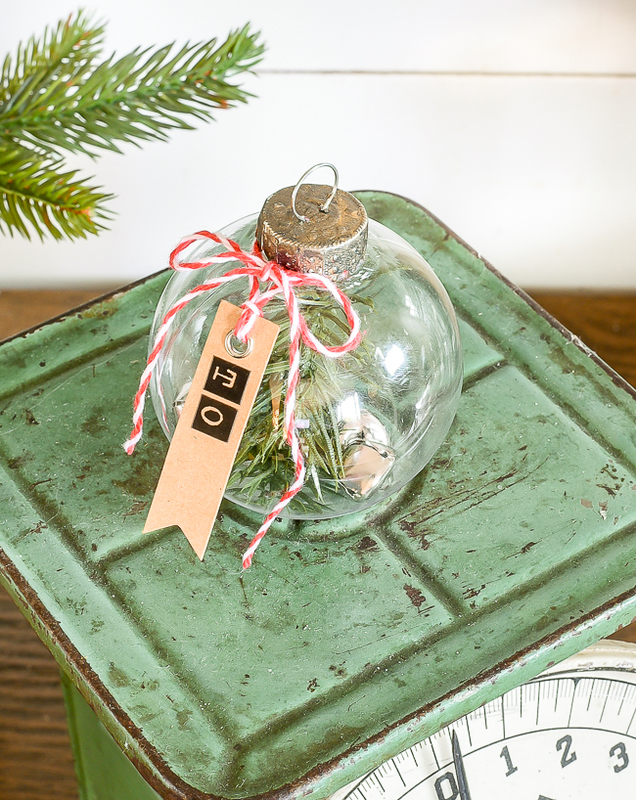 With Christmas right around the corner, I decided to put together easy to make ornaments that double as gift tags. 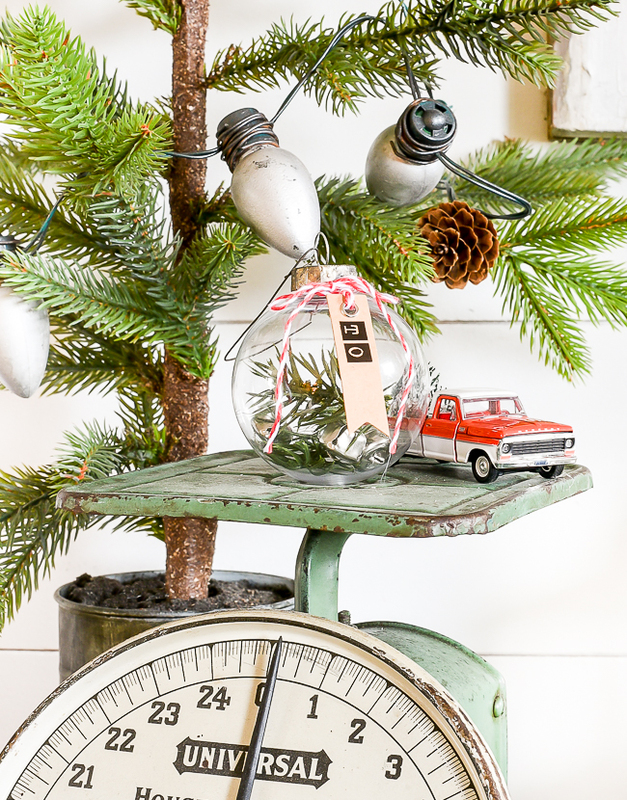 These quick and affordable clear plastic ornaments are the perfect way to add a personalized touch to your gifts this holiday. 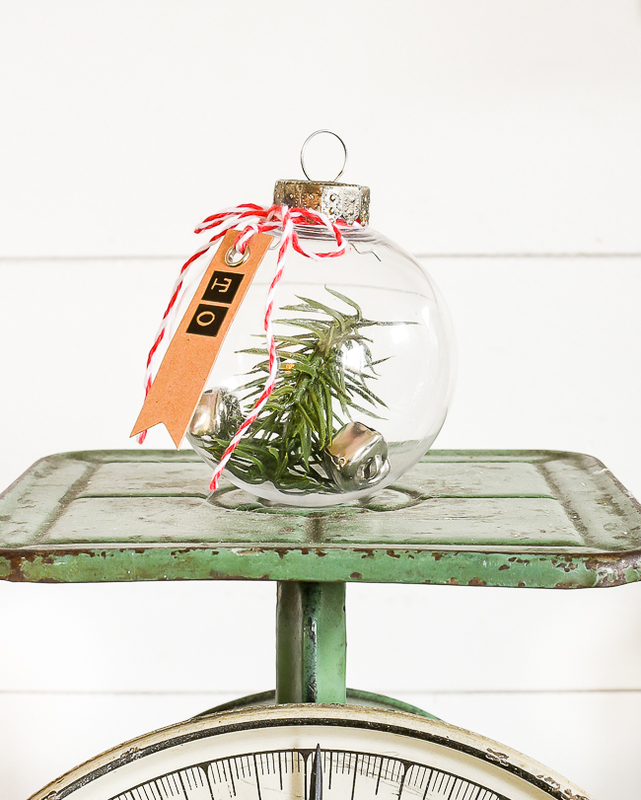 Fill them with greenery, snow, bells or paper! The possibilities are endless and your friends and family are sure to appreciate the time you took to make their gift extra special. A lot of the items I used (and items that you could use) can all be found either at Dollar Tree or the Dollar Spot at Target. 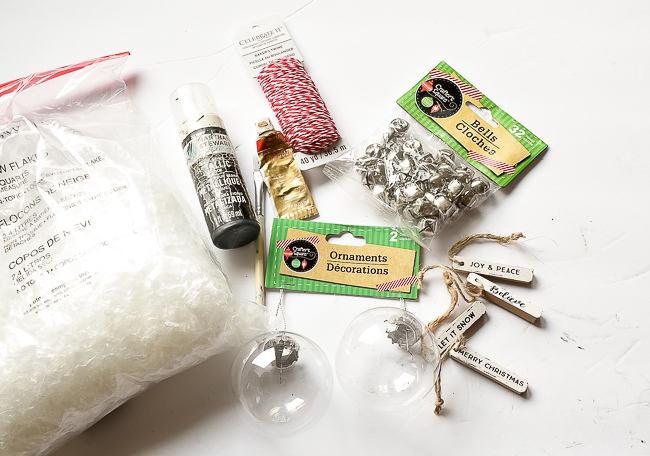 I bought a couple packs of the clear plastic ornaments and silver bells from Dollar Tree, but the rest of the items I used I already had. 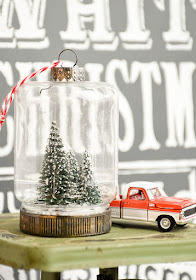 At first, I wasn't quite sure what I was going to use to fill the ornaments, so I grabbed a few things I had laying around the house that I thought might work. Before I filled the ornaments I did take a minute to quickly update the silver tops. 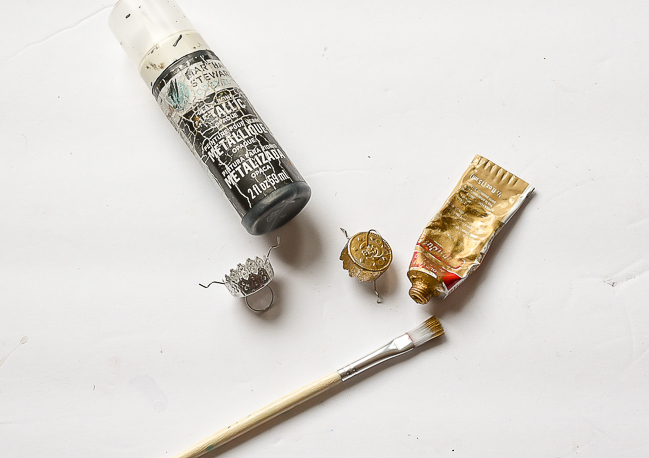 I started with a layer of Gold Leaf Rub 'n Buff then blended in a bit of metallic brushed pewter paint. This gave the ornaments more of an aged look that I was going for. Next, I played around with what I wanted to put inside the ornaments. 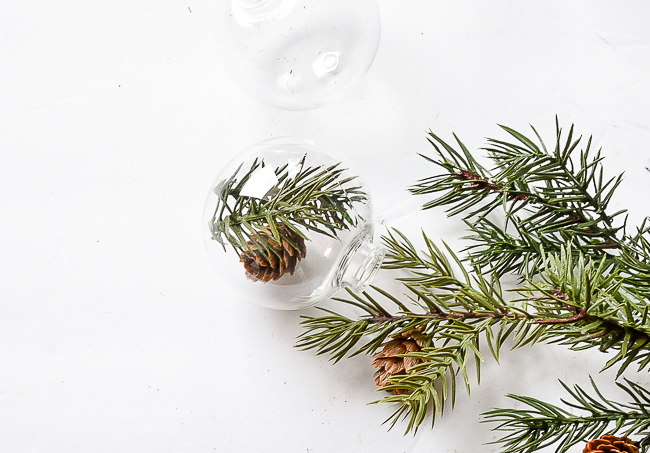 I first tried a few branches of greenery and a pinecone, but I wasn't loving the look. I ended up removing the pinecone and trying bells instead. I was happy with the bells, so I moved onto making the gift tag. 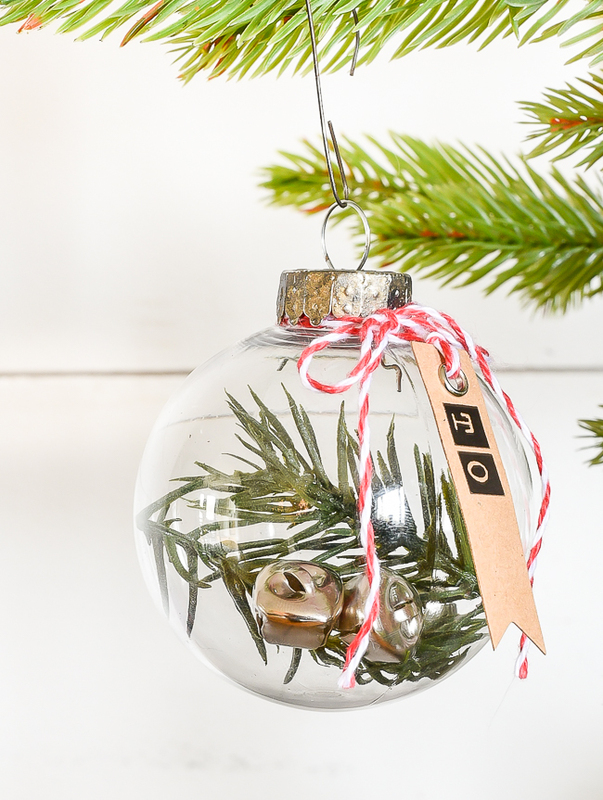 I had a bag of natural craft eyelet tags that I picked up from Michaels months ago and knew they would make a perfect addition to the ornaments. 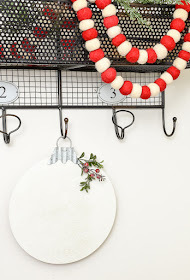 I added adhesive letters that to tags that say, to and from then tied them onto each ornament with red and white bakers twine. 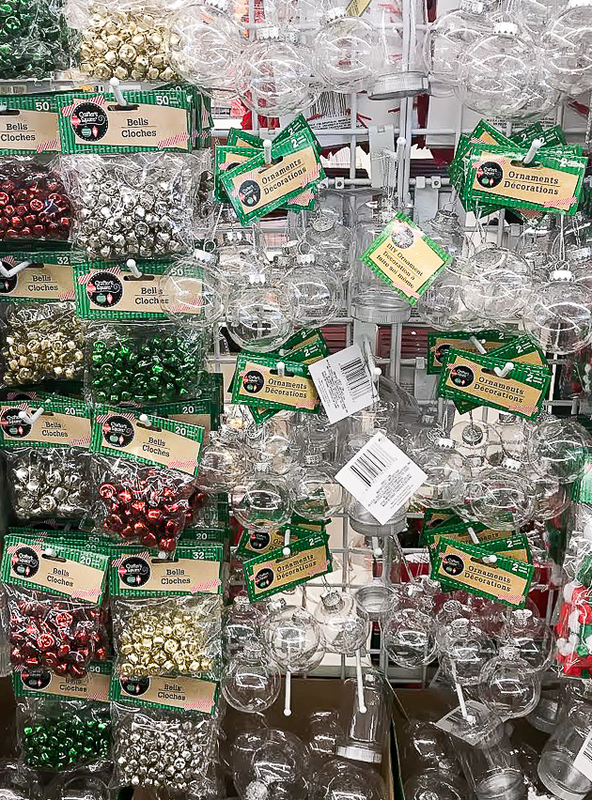 These clear Dollar Tree ornament gift tags would make the perfect addition to a wrapped package or gift bag this holiday. Something so simple and beautiful. You have a great eye, giving us a different perspective on how to look at things., thank you for your gift of sharing. I'm definately going to make. Have a wonderful holiday.